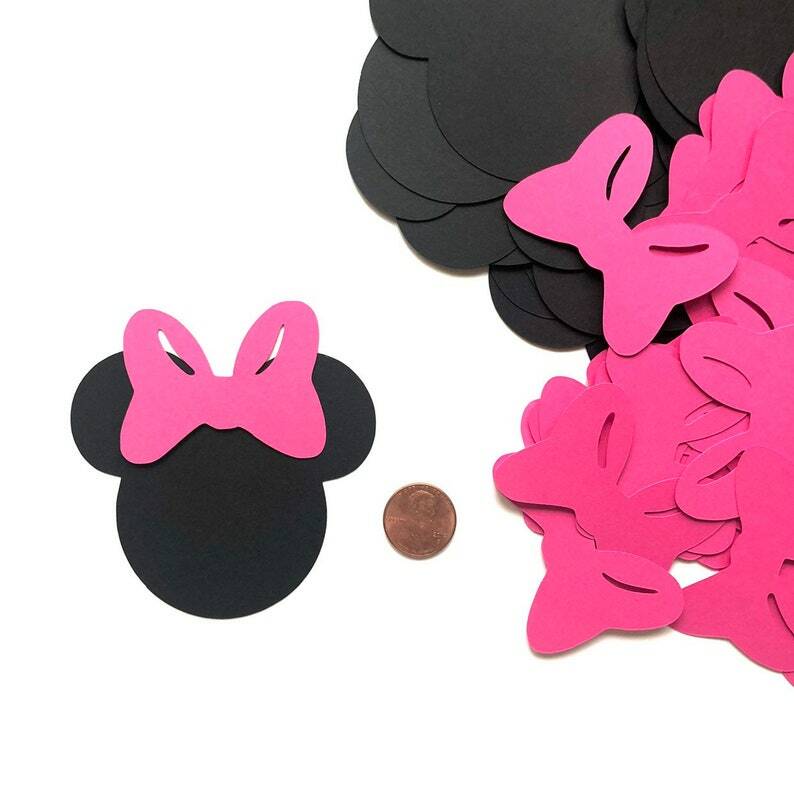 You will receive Total 20 Minnie mouse with Bow tie die cuts. Cut from Cardstock. Head with Bow (If glue them together)- Approx 3.1" x 3.25"
These worked out perfect for my daughters learning board. Super cute! Fast shipping - thanks so much!